Happy Holidays and Happy New Year 2016! 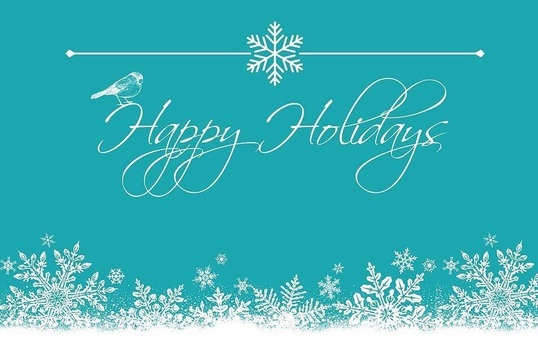 RTD’s Civil Rights Division sends warm wishes this holiday season from our family to yours. 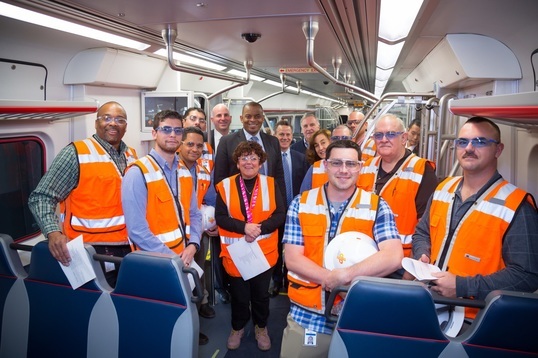 U.S. Department of Transportation Secretary Anthony Foxx, center, visited Denver in October to get a close-up view of RTD’s pioneering WIN program in action. Above, he poses with RTD Interim General Manager and CEO David Genova, DTP Project Director Aaron Epstein, DTP Board member Jim O’Leary and DTO General Manager Anne Herzenberg. Surrounding them are employees who are receiving training so they can operate new commuter rail trains along three Eagle P3 Project corridors. U.S. Department of Transportation Secretary Anthony Foxx visited Denver recently to get a close-up look at how the Workforce Initiative Now (WIN) program really works. WIN is the pioneering workforce development program founded by the Regional Transportation District (RTD) in 2011 to answer a national demand for skilled workers needed in the transportation and general construction industries. During his Oct. 28 visit, Foxx met with RTD senior managers, board members, a regional Federal Transportation Administration official, program partners and WIN participants at RTD’s new commuter rail maintenance facility. At the facility, workers will maintain trains that will operate along four new commuter rail lines set to open in the Denver region in 2016 and in 2018. RTD Director Jeff Walker, who chairs the RTD Board of Directors’ civil rights committee, and Director Paul Solano, who is the committee’s vice chair, welcomed Foxx to Denver and delivered opening remarks. RTD General Manager and CEO David Genova gave the secretary and other dignitaries a FasTracks overview and moderated discussions about workforce development, public-private partnerships and regional collaboration. Denver Transit Partners, Community College of Denver and Urban League of Metro Denver representatives briefed Foxx on their experiences as founding partners, and WIN participants shared their inspirational stories of working their way into meaningful transportation careers thanks to the program. WIN is increasingly drawing the attention of federal policymakers and peer transit agencies that would like to learn from its success. The program has served more than 1,350 individuals through general career outreach and planning and has enrolled 613 Coloradans in training opportunities designed to make them competitive employees who can rise within the workforce. 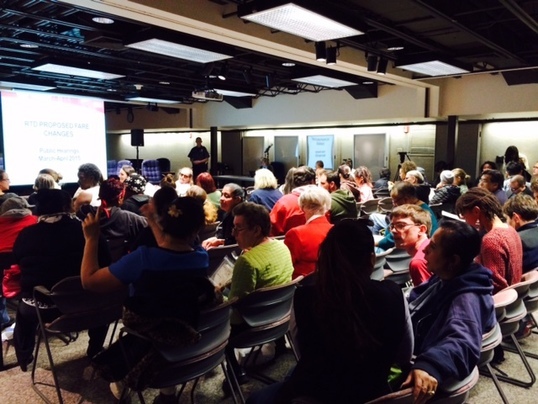 Citizens gathered at RTD headquarters in Lower Downtown Denver earlier this year to provide input on proposed fare policy changes. RTD will implement new fare policies on Jan. 1. The new policies stem from a comprehensive fare study and an unprecedented public engagement process that included more than two dozen public meetings across the eight-county district to gather input from riders and stakeholder groups. As a result, RTD has streamlined its new fare “structure,” which will offer the public many new features and benefits—including the ability to purchase a day pass to take unlimited trips through the end of the service day for the price of a single round trip. RTD’s new lines will include the University of Colorado A line to Denver International Airport; the B Line to Westminster; and the G Line to Wheat Ridge and Arvada—all commuter rail corridors built under the Eagle P3 Project. RTD will also debut the U.S. 36 Flatiron Flyer, the Denver area’s first bus rapid transit (BRT) corridor, and the R Line, a new light rail corridor traversing Lone Tree, Aurora and parts of Denver. Included in the new fare policies is a streamlined rail system with four zones: A, B, C and Airport. All trips to and from DIA will cost a flat $9 on all bus and train services. In addition, RTD will reclassify Express bus routes to Local or Regional, which means some fares will go down. Because of all of these systemwide changes, RTD is urging riders to “know your fare” well in advance of the Jan. 1 implementation. Passengers will find more information about exact pricing and other fare details at www.rtd-denver.com/fares or by calling RTD Customer Care at 303-299-6000. Members of RTD’s senior leadership team met with the small and disadvantaged community in September. 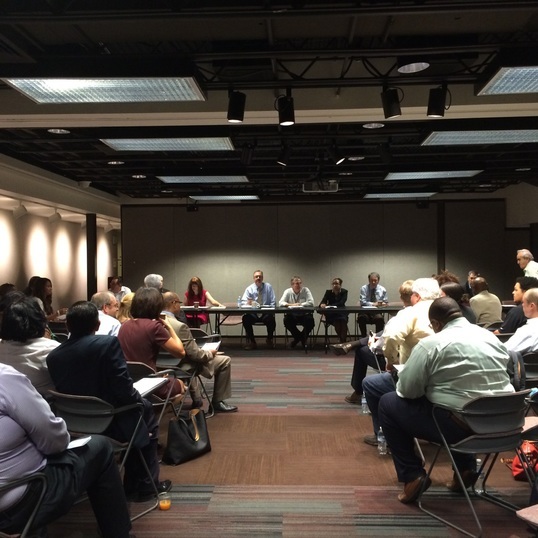 RTD’s senior leadership team attended the Disadvantaged and Small Business Enterprise Advisory Council (DBEAC) meeting in September to share insights into how they support the agency’s Civil Rights Division. Assistant General Manager of Bus Operations Bruce Abel welcomed members on behalf of Interim General Manager and CEO David Genova, reiterating RTD’s ongoing support and commitment to the small and disadvantaged business community. The executives touched on bus and rail operations, marketing, safety, information technology, government relations, contracting, procurement and other areas vital to RTD’s continued success as a public transit agency. Abel and other managers underscored that RTD will still rely on small contractors in the future as FasTracks projects wind down and the agency focus more on operations and maintenance. Civil Rights Senior Manager Zamy Silva explained how all of RTD’s departments collaborate with her division on a day-to-day basis, working to build confidence and strengthen relationships with companies that have helped turn RTD into one of the nation’s fastest-growing and most modern public transit agencies. RTD’s ADA Manager Ed Neuberg talks to Teri Westerman of the Spoke N Motion Dance Company during a public outreach event on the Auraria Campus in downtown Denver. Public outreach continues to be an important aspect of the RTD Civil Rights Division’s everyday work. 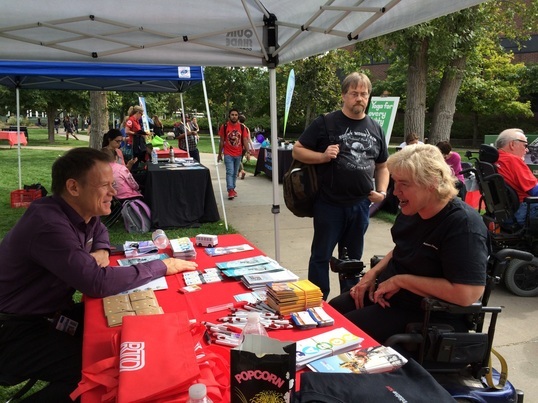 On Sept. 30, faculty, staff, students and others had the opportunity to talk one-on-one with RTD staff during the Auraria Campus’s annual Disability Awareness Festival. Ed Neuberg, manager of the RTD Americans with Disabilities Act (ADA) Office, answered questions, handed out informational brochures and giveaways, and talked to people about RTD’s efforts to comply with federal ADA requirements. This year’s festival coincided with the 25th anniversary of the ADA, the landmark civil rights legislation that guides how local, state and federal agencies implement policies to benefit citizens with disabilities. 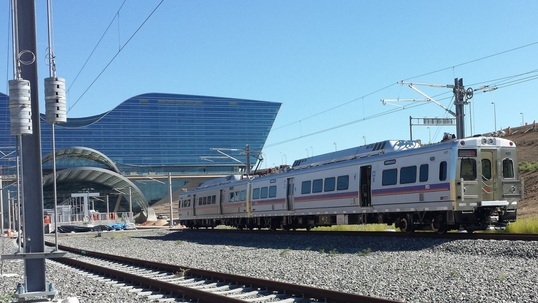 Above is a married pair of commuter rail trains at Denver International Airport on a segment of the University of Colorado A Line, which will open on April 22. The University of Colorado A Line to Denver International Airport will open April 22. The highly anticipated CU A Line is one of three commuter rail lines that RTD contractor Denver Transit Partners (DTP) is building under the FasTracks transit expansion program. After the new lines open, DTP will operate and maintain all three—including the G Line to Wheat Ridge and Arvada and the B Line to Westminster—for the next 30 years under a concessionaire agreement with RTD. CU purchased the naming rights for the A Line for $5 million and will have the option of renewing a five-year contract. Watch for more news about a ribbon-cutting ceremony to mark the historic opening of the rail line next year, along with free rides, station parties and other ceremonial events. Getting in touch with RTD’s Small Business Office (SBO) is easier than you might think. The SBO oversees the agency’s Disadvantaged Business Enterprise (DBE) and Small Business Enterprise (SBE) program and works to provide opportunities to small businesses interested in bidding on construction, maintenance and other RTD projects. Stay connected by attending the monthly DBEAC (Disadvantaged and Small Business Enterprise Advisory Council) meeting or by calling 303-299-2111. You can also visit www.rtd-denver.com/DBESBE to check an online calendar, RSVP to SBO events and sign up to receive email alerts about opportunities, upcoming solicitations and events. Unsubscribe Please do not reply to this email.